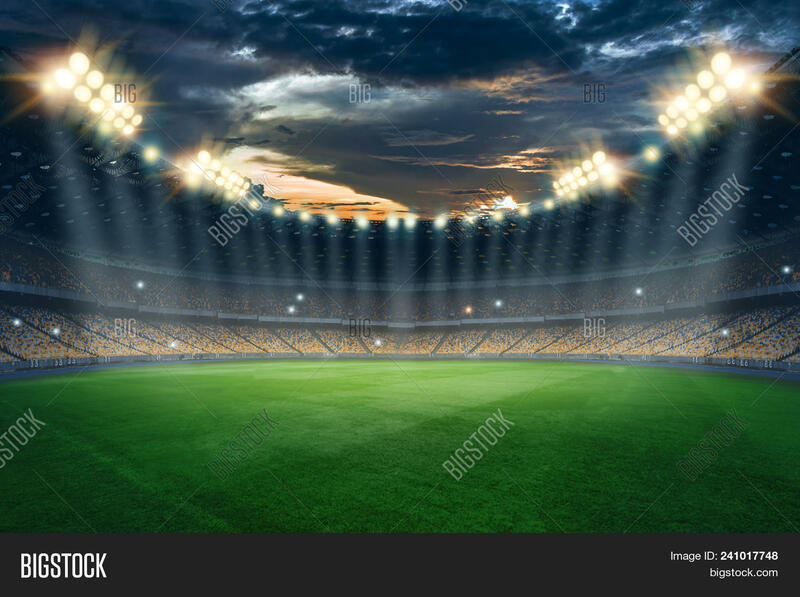 Stadium in the lights and flashes, football field. Concept sports background, football, night stadium. Mixed media, copy space.